The Quickship collection brings customers the benefits of next day delivery for a carefully selected range of workshop storage products. The ultimate in organised storage for tools, fixings and components, cubio drawer cabinets are available in an array of housing and drawer dimensions. cubio workbenches are robust and versatile workstations, with high load capacities and multiple storage options. bott’s range of mobile storage products gives customers the flexibility to safely move tools, equipment, components and work surfaces to wherever they’re needed. 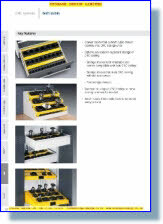 The CNC range from bott provides secure storage and allows safe transport of tooling in manufacturing environments. 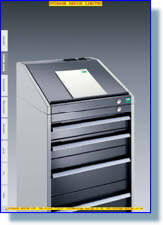 A range of options is available to suit all standard types of CNC tooling. 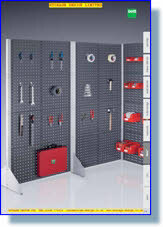 The Perfo® system is the ultimate in modular spacesaving storage for tools, small parts and consumables. 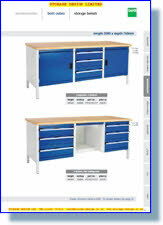 Cubio cupboards are available in two types, standard and heavy duty. 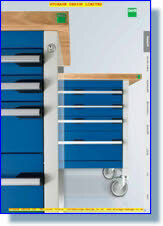 All are available with a range of options, including integral drawers, worktops and Perfo® and louvre panels. 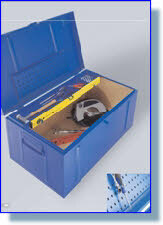 Exceptionally durable and fully portable, bott toolcases are the ideal tool storage solution for field use. 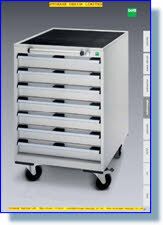 Select from bott’s range of sturdy fully welded sheet steel toolchests and robust lightweight aluminium toolcases. 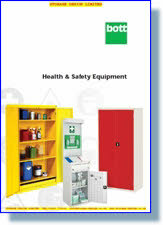 Meet legislative requirements for storage in the areas of health and safety, first aid, PPE and hazardous materials. 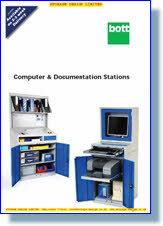 These workstations are built to answer the ever increasing need for documentation and I.T on the shop floor. The versatile workbench range includes : cantilever, framework style, fully welded benches and a new combi bench with a variety of storage modules enclosed within the structure. 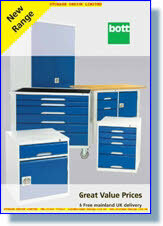 Drawer cabinets are static and mobile, fully lockable and with dividers available as an option. 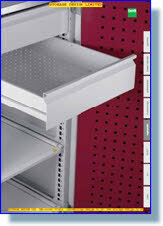 Industrial cupboards in various sizes provide secure & versatile storage with optional inner drawers and panels.